US | The End of Something..
Fred Astaire danse au rythme de l’économie américaine. Fred Astaire dances to the rhythm of the American economy. 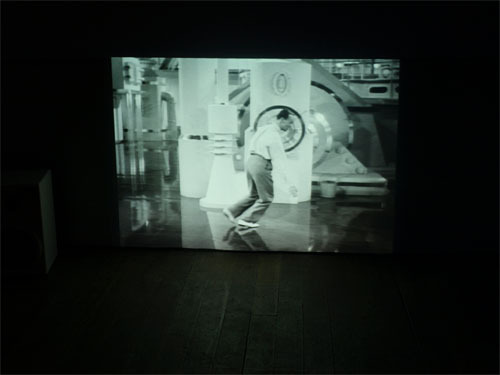 The scene, already employed in Possibles Bodies (2002), is connected to the American Stock Exchange in real time. Fred Astaire dances to the rhythm of the economy: the more volatile the tradings, the more fluid the movements. Grégory Chatonsky currently resides in Montreal and Paris. He holds a philosophy master’s from the Sorbonne and a multimedia advanced degree from the Ecole nationale superieure des beaux-arts in Paris. He has worked on numerous solo and group projects in France, Canada, the United States, Italy, Australia, Germany, Finland and Spain. His works have been acquired by public collectors such as the Maison Europeenne de la Photographie. 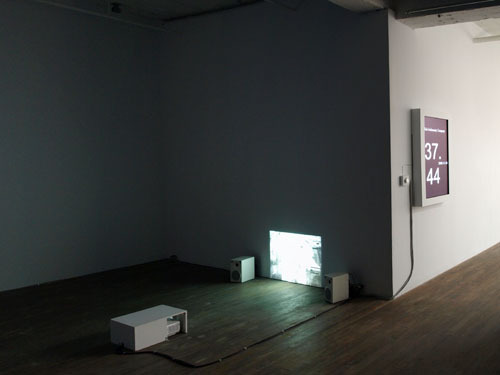 In 1994, Chatonsky founded a net.art collective, incident.net, and has produced numerous works, such as the websites of the Pompidou Centre and Villa Médicis, the graphic signature for the Musée contemporain du Val-de-Marne, and interactive fiction for Arte. He has taught at the Fresnoy (national modern art studio, France) and at UQAM’s school of visual and media art.